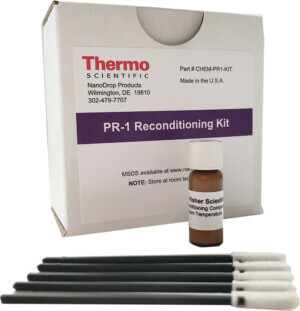 Get results in less than 15 seconds using only 1 uL! 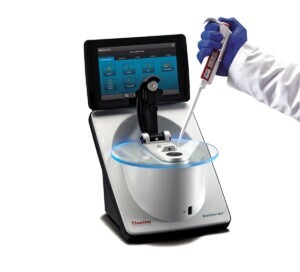 Prevent costly delays with an enhanced understanding of sample quality using the NanoDrop™ One Microvolume UV-Vis Spectrophotometers. The Innovative Acclaro™ Sample Intelligence technology is built into every instrument for improved measurement accuracy and contaminant identification. 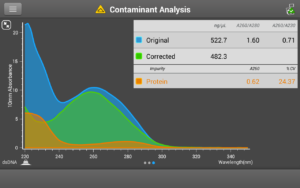 Quantify and qualify DNA, RNA, and protein samples in seconds with only 1-2 µL, and obtain full-spectral data before you decide to use samples in downstream applications. analysis to save you time and bench space. measurements from 1–2 µL of sample. with full-spectral data in seconds. Ethernet, Wi-Fi or an external computer.